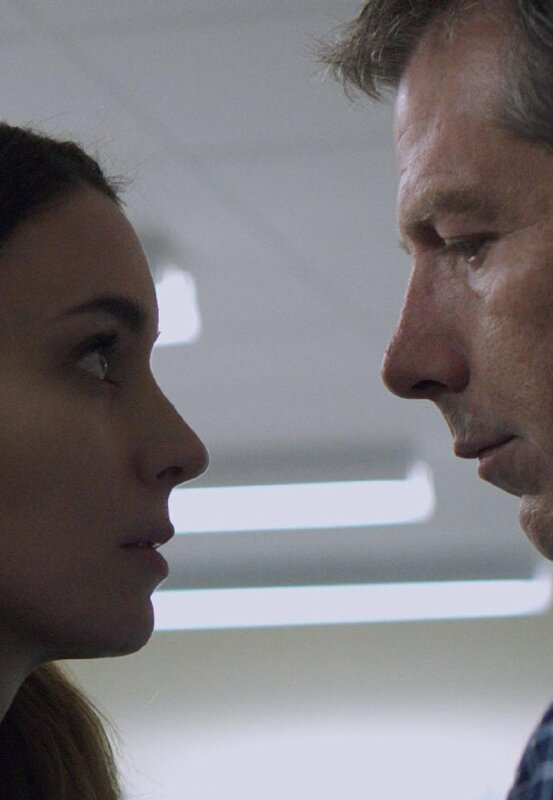 The God of Cinema can prove me right, as I did my best to engage with the storyline offered in Benedict Andrews’ Una despite uninspiring performances delivered by the entire cast, including the exceptionally talented Rooney Mara. I did and I failed, so did the entire audience. Una is a young woman whose relationship with Ray/Peter back when she was thirteen years old traumatized her. Not even realizing that now she is grown up and capable of building her own personal life, she’s still stuck in the past by hunting Ray/Peter to force him to confront the past. The encounter both will be having throughout the film is interesting, intriguing, but in the meantime laughable when it’s never meant to be. Honestly, the main issues of the film are poor directing approach and mediocre lines written for the film. At some point, I tried to handle myself not to laugh at some scenes, since it was its World premiere I was attending. Also, I did my best to understand the protagonist character, Una, whose mental issues I could understand. Due to that, I had to go as far as possible to distance myself from mediocre lines to support Una as much as I could. But after forty-five minutes or so, I found myself hearing how the entire audience would laugh at every single dialogue or the scene we could see on the screen. And that, I must say, was not a good sign at all. How someone like Rooney Mara could have ever signed up to participate in such a film will remain as a great and unsolved mystery. The performance the entire cast delivered was almost like they just showed up on the set for the sake of respect, that should have never been showcased. Also, I guess, it’s hard to blame the cast, as the director Benedict Andrews seems was not sure which way to go with his directing. But trust me that the path he had chosen for his film was not the one you would expect. So, in order not to get disappointed in Riz Ahmed or Rooney Mara’s performance, I would highly recommend you to skip watching this film at any cost, unless you really want to see it.